I was one of the very lucky recipents to revieve the chance to review Water's Wrath. I thank the author for sending my a beautiful signed copy. I wonder how many times I have said that this series is my absolute favourite. Everything about this book's concepts make it so captivating and unique. 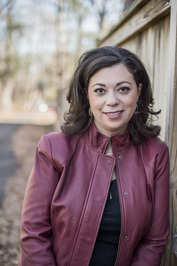 Elise also isn't the type of writer who will write just rainbows and unicorns, she will keep her readers on their toes, by making them feel pain, suffering and sadness. Truthfully, it's probably one of the main reasons why I have enjoyed this series so much. We as readers will never know who might die next, or what will unfold within the next books pages. Therefore I would give this book in particular 10 out of 5 stars. Yup, that's right, this book is double the awesome. I can honestly say that this book has been my favourite of the series so far. This is where I fell in love. That little paragraph helped me get a full understanding of why someone might chose to live there and get lost. This is actually one of the reasons for witnessing the Crossroads in the first place yet again since Fire Faling. I loved the meeting with Aldrik's Uncle as well during Vhalla's times at the Crossroads. The different settings it what I believe helps get a boarder viewing audience. It doesn't only take place within a palace. We as readers witness a battle fields, several different regions including the Crossroads and of course the palace grounds. The thing I love the most about Elise Kova's books is her story development, the general planning and idea processing that goes along with it. It is very clear that a lot of work went into creating this story to get it into our hands. It is also very clear that Elise knows how to state things without making it obvious. Elise's forth-shadowing was quite good and well enjoyed, for me at least, but I am sure others word agree. Another thing that sets Elise's books away from others, is the emotions she brings out of her readers. I have never laughed, cried, and hated so much in my life before. Water's Wrath is one of my favourites because of all the emotions that are brought out of me. I don't want to say to to much about the story because I don't want to ruin it, but chapter 19 killed me. I handed my heart to Elise and during this chapter she crushed it and ripped it to shreds then probably maliciously laughed (just kidding about the malicious laughing, Elise is a very kind women). I also dont believe I have ever cried so much after the fact, even after so many weeks of having read it. I just keep crying whenever I am reminded of certain characters and events. One last thing about this book. Everything that unfolded made sense and never once was I confused. I also didn't see the ending coming until reading it. I had many predictions, but none of them were completely accurate. For the story line and plot of this book in particular Elise deserves a standing ovation. Where do I start with Elise Kova's characters. I believe that this section has become a bit repetitive because what else can I say besides that she is an amazing author and it shows through the way she writes her characters. However I will say that I have fallen in love with the development in each book involving the characters. I really liked that the characters were't prefect, I liked seeing the rawness in each of them. I also liked that we were kept on high alert because we wouldn't know who would die next; this in turn meant that none of our beloved characters are safe. My favourite character and by far my favourite female protagonist I have ever read, is Vhalla Yarl. She has come so far since book 1 (Air Awakens). Vhalla has been broken, then rebuilt just to be broken again. Never once though has she complained or wished for a better hand to be dealt. She faces her issues and problems head first. Another amazing aspect about Vhalla is her caring heart; this could very well be a weakness, but in my eyes it's what makes her stronger. Vhalla is compassionate, but she is also very dangerous. I believe she is a character that is deadly, and that is what makes her so much better. One last favoured thing about Vhalla are all her interactions with the other characters. I love seeing all the different sides of Vhalla whilst she is communicating. I also love her new interactions with the Golden Guard, those were always quite entertaining. Overall Vhalla is such an astounding character. My next favoured character is my dearly beloved, Aldrik Solaris. This boy has destroyed my heart in so many ways, but he has also reshaped my heart in better ways as well. Since book 1 he has changed quite a bit. He has developed so much and I love him even more for it. For the longest time we saw such a closed off, scowl faced character, but in time Vhalla blossomed him into something great. Someone who is fit for his kingdom. Yes, there were certain events that shaped him as well, but I believe those changes would never have started to occur without the lovely once library apprentice, now soldier girl to kick start the reactions. Aldrik is also quite the mastermind as well. Sometimes it takes until the very moment something is happening in order to realize what he is doing. Aldrik will forever be my number one devilishly handsome prince. I can also thank him for making me obsessed with Tom Hiddleston even more so then I was before. My last absolute favoured character is Baldair Solaris. He is such an amazing prince with a heart full of gold. I love the way he took Vhalla in and loved her like a sister. I loved the endless scenes with him and his little family. This character was the man who killed my heart in more ways than one. I believe the events brought upon him were quite emotional and to say the least, however he handled everything with strength and love. Baldair will always have a place in my heart, because that's what these Air Awakens characters do, they enjoy setting up camp in my shattered heart. The last little thing I will say about Elise Kova's characters is that even the secondary characters are amazing and crazy loveable. We have seen our fair share of awesome secondary characters. We have also seen a great share of them die. Those deaths is what I believe make us stronger as readers. Some very mentionable secondary characters is Jax (his sass and over all appearance could kill a guy if they were standing in the same room), then there is Daniel (his heart is so amazing and his sweetness is something else as well), then there is Fritz (He is the type of best friend that I want to have in my life, I love the way he cares for Vhalla and everyone else), and last but certainly not least is Elecia (SHE is such a kickass character, everything about her personality and the way she handles herself is amazing). All in all I will say that my favourite element to the Air Awakens series are the characters themselves. I feel as though I have grown a connection with every single one of them, and to me, that is amazing and so special. There are only a select few of authors who I can say have actually had this effect on me, and Elise Kova is definitely one of them. In Conclusion, I believe I have justified my reasoning to why this book is worth double a normal rating. Every aspect was well thought out and the character's development slays me. 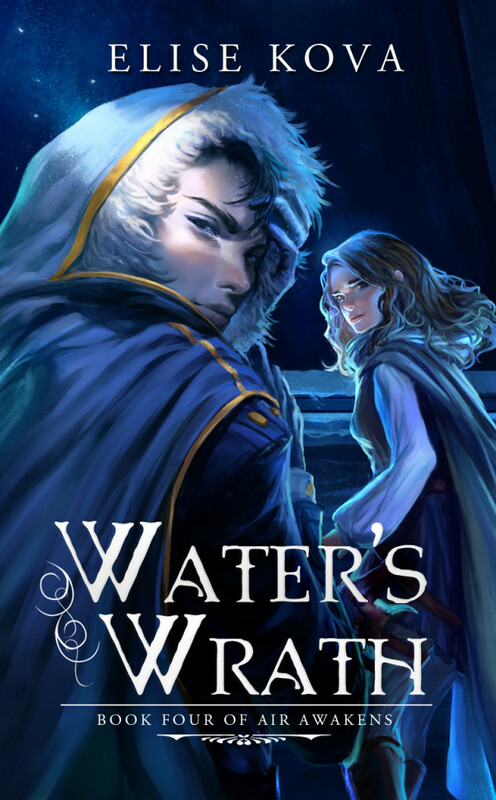 I will warn those who read Water's Wrath, it'll destroy you and your heart... in a good way? Maybe in the best way I could have ever been torn apart? If you pick this book up, I hope it is equally as enjoyed. Wow. You have put a lot of effort and care into this review. You clearly love these books and your review shows this. Fabulous!